Apply Today! 2019 Divemaster Internship for Indonesians. 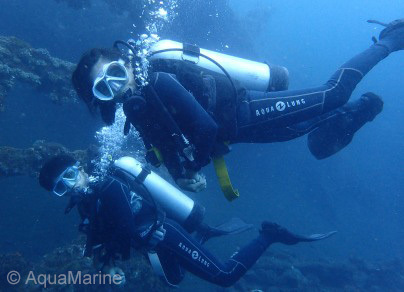 At the end of 2011, AquaMarine introduced its latest initiative to re-invest into Bali’s dive community: The “AMD-B 11 Month PADI Divemaster Internship for Indonesian Citizens” Programme. Every January a maximum of four Interns start this programme with us. Each intern has an AMD-B OWSI assigned to them as a mentor however the entire dive team is participating in all aspects of their training (OWD to DM). This initiative arose as AMD-B looked for ways to invest back into the local community, providing the highest level of training for each candidate so that they can confidently pursue a career in the dive industry. Use the Apply Now link below – attach your CV to apply today! Training will start on Monday, 07 January and finish on 30 November, 2019. Must be an Indonesian Citizen. Must be available for interview in Bali. Must be able to swim well and preferably have previous dive experience. Able to socialise with tourists. Basic monthly salary plus working conditions as applicable for other dive staff. Accommodation for Interns not living within easy reach of AMD-B’s office. A full set of dive gear will be provided for the duration of the internship. Each candidate will be assigned one of AMD-B’s PADI Instructor as “mentor” to support them throughout the internship. Use the “Apply Now” link below – attach your CV! Irrespective of any dive certification held, all participants undertake the PADI OWDC and AOWDC. By the end of Feb, interns will be EFR trained and well into the Rescue theory and pool practice. By the end of March, interns will be certified as PADI Rescue Divers. This means they will have been involved with several rescue scenarios in different locations. For example. they will have experience at: the rocky beach at Tulamben, the wavy beach near the airport, by boat at Blue Lagoon outside Padangbai, by boat in the swell at Manta Point (or similar), by boat in a strong surface current, etc. 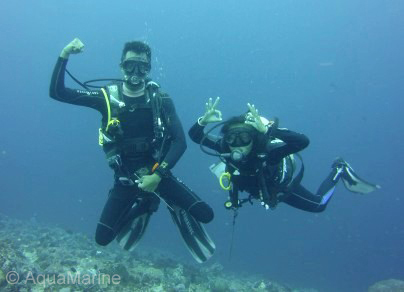 These three months (2nd Qtr 2019) are dedicated to the PADI DM course and assisting with as much guiding as possible. By the end of June, participants will be certified as PADI Divemasters and be semi-experienced dive guides with a professional, positive and safety-oriented approach to scuba-diving. Interns will join AMD-B’s dive staff team to build upon and practise their skills and knowledge. If an intern would like to stay with AMD-B and we want to keep them, then it’s a match made in heaven. Otherwise the intern is free to leave with newly acquired knowledge, experience and certifications. Use the “Apply Now” link below – attach your CV to apply!